Join us for our annual Northern Writers’ Awards Roadshows. 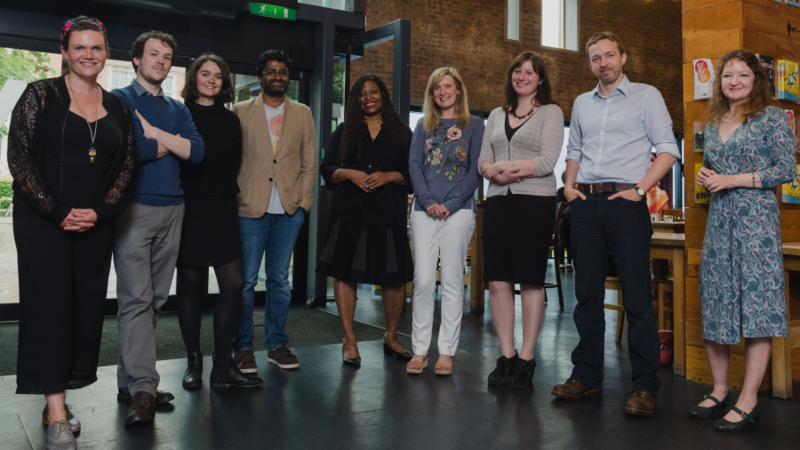 These free events are suitable for new, emerging and experienced writers considering applying for the opportunities we offer through our awards and looking to learn more about the contemporary writing landscape. We enjoy meeting writers across our region at these events and hearing about your experiences. We look forward to seeing you in either Hebden Bridge or Lancaster before long. The Northern Writers’ Awards application window opens on 16 November 2017. Hebden Bridge Library, Cheetham Street, Hebden Bridge, HX7 8EP; Thursday, 16 November 2018; 6pm to 9pm. In association with Calderdale Library Authority. Join us in beautiful Hebden Bridge as we celebrate the launch date for this year’s Northern Writers’ Awards. At this Roadshow, we’ll be discussing opportunities for poets, novelists and short-story writers as they navigate their way through the writing landscape. We’ll provide insight into our Northern Writers’ Awards portfolio, with a particular focus on one of our new awards, The Northern Book Prize, launched alongside the leading independent publisher And Other Stories. The evening will also include a session on the brilliant Arvon Award and the chance to catch up informally with our speakers. Speakers at this event include: Rachael Allen (poet and editor); Sarah Dunnakey (author of The Companion); Saba Ahmed (Editorial Production Manager at And Other Stories); Helen Meller (Arvon Lumb Bank Centre Director); and Will Mackie (New Writing North). Register for the Yorkshire Roadshow here. Print Room Café and Bar, The Storey, Meeting House Lane, Lancaster LA1 1TH; Wednesday 29 November 2017; 5.30pm to 8.30pm. In association with North West Literary Arts. Spend an evening with us in the ancient city of Lancaster as we discuss the multiple pathways available for writers as they manage their careers. This Roadshow will be valuable for poets, novelists and short-story writers at all stages of their careers, including those entirely new to writing. We’ll explore how the Northern Writers’ Awards support writers to progress with their careers and what might work best for your individual needs as a writer. The evening will include the chance to speak to our speakers informally over refreshments. Speakers for our Lancaster Roadshow include Kerry Hudson (novelist and one of this year’s Northern Writers’ Awards judges); Carys Davies (short-fiction writer and novelist); Andrew Forster (poet and editor); Yvonne Battle-Felton (writer and founder of North West Literary Arts); and Will Mackie (New Writing North). Register for the Lancashire Roadshow here.